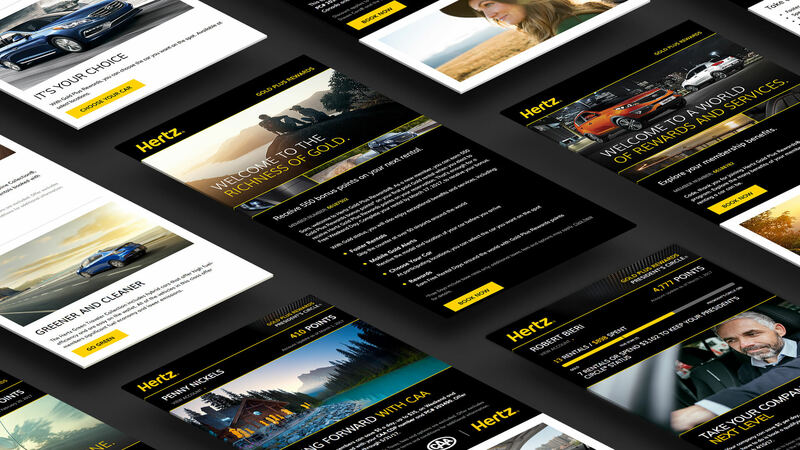 As part of the overall brand refresh for Hertz, the team completed a total rebrand for Hertz’s Gold Plus Rewards global loyalty program. The effort spanned over six months and included hundreds of unique communications for email, branded content microsites, direct mail, and 360 acquisition/activation campaigns (not in market yet). 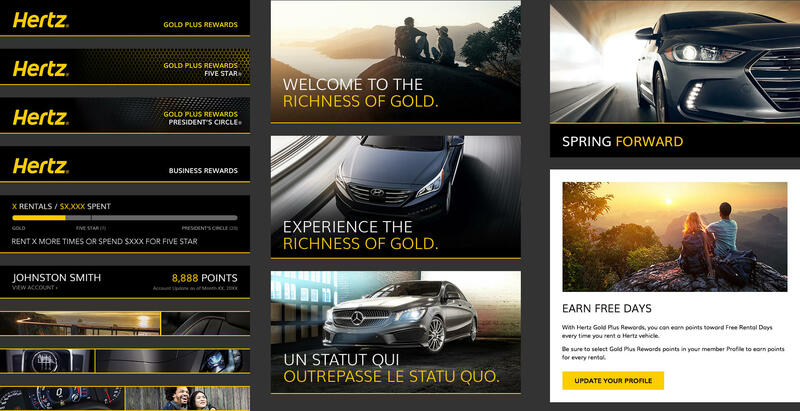 Since Hertz Gold Plus Rewards has millions of members that receive personalized email communications based off their rental activity, the emails needed to be flexible enough to allow for multiple content and languages types but also have a consistent aesthetic throughout the different permutations. The emails also needed to work responsively across all types of screens, something the previous iteration did not do. 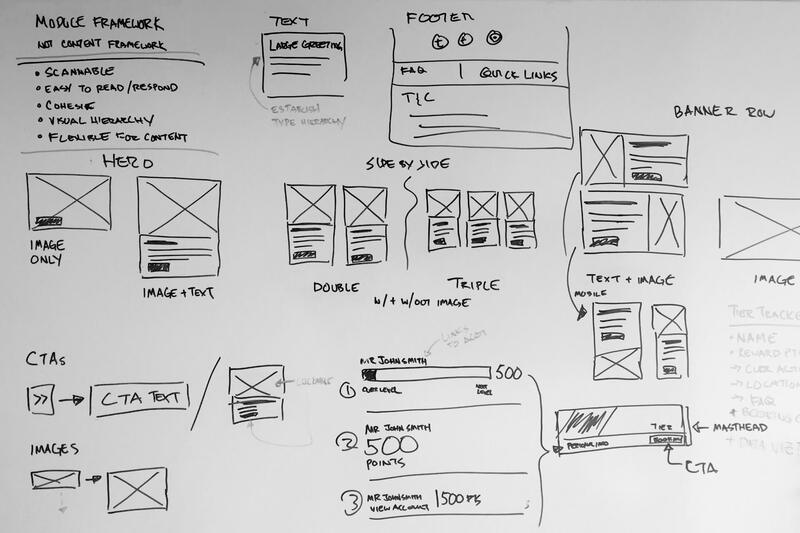 Beginning with some quick sketches on the whiteboard, we developed a modular design system that was optimized for multiple types of content, languages and screen sizes.